Boogie Heads Entertainment is by far the best entertainment for events. We provide entertainment for any event you can think of. Guaranteed to make you laugh for hours. We bring an element of surprise of what your dancing body will look like along with the music to provide that perfect combination to a good time and a ton of fun. Boogie Heads Entertainment has a terrific staff that engages with your guests and we are always on time for you party. We've worked with the MDA (Muscular Dystrophy Association), schools, church's, graduation party's, weddings and so much more. Whatever your event is, we have a music selection appropriate for your event. Give us a call today. 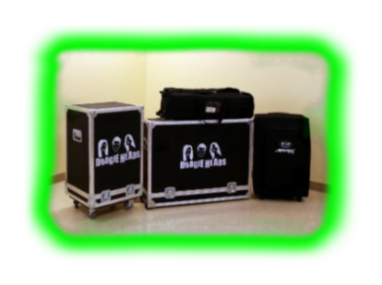 We would love to bring the entertainment for your event.